PEPPM – NRG Controls North, Inc.
NRG Controls North was selected as a preferred provider for PEPPM. For school districts seeking options to meet stringent budget reductions, NRG North was recently named a technology marketplace vendor by PEPPM, the cost-effective, bid-protected resource for technology purchases administered by the Central Susquehanna Intermediate Unit. 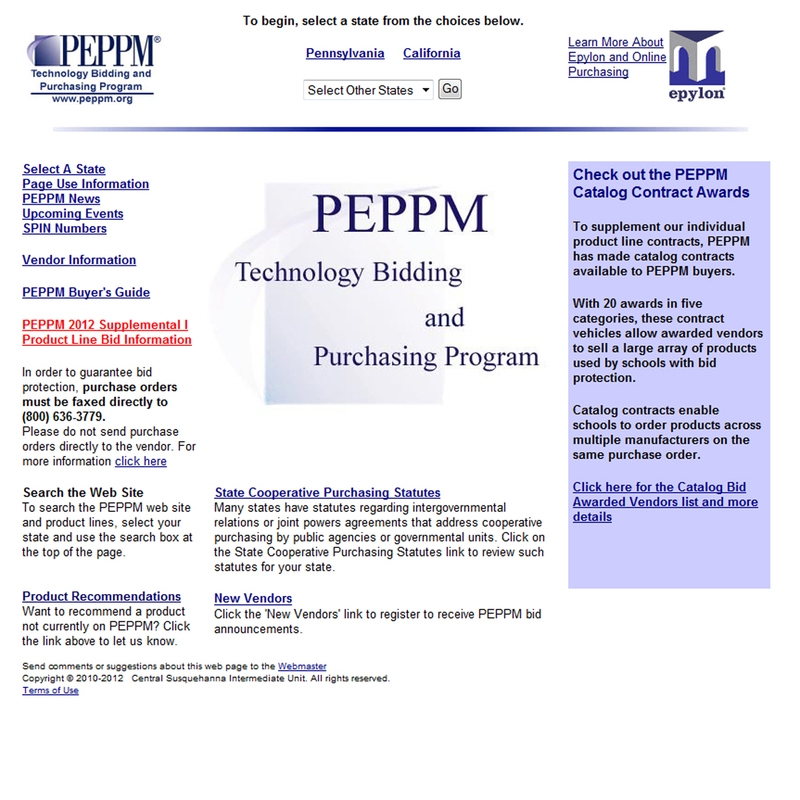 When you register online for the PEPPM Technology Bidding and Purchasing Program, take advantage of pre-approved competitive pricing on products and services provided by NRG North. Now you have one resource to go to without having to go through the time-consuming bid process. For more information or to register, visit PEPPM.org or contact your NRG North sales representative for a free demonstration.